China has recently announced an increase in its 2020 solar installation target up to more than 200 GW. The country had earlier targeted installing 105 GW worth of solar. However, according to a recent report from PV Info Link, the country reached 165 GW by the end of September and is now thinking that it could reach between 210 GW to 270 GW. The National Energy Administration (NEA) is of the opinion to reach a target of 210 GW and raise capacity installations by 20 GW each year through 2020. If the target is revised to 250 GW, the country would need to install nearly 40 GW a year, which will make China an attractive market. This capacity expansion will support the Chinese solar module industry, which was facing a downturn as a result of policy changes announced by the government earlier this year. 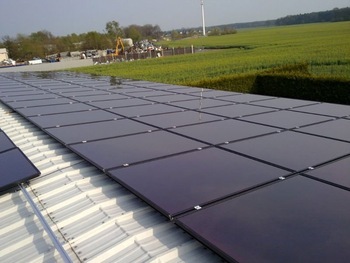 The National Development and Reform Commission (NDRC), the Ministry of Finance and the National Energy Administration had reduced the feed-in tariff and imposed installation caps for solar projects in the country. However, in order to boost its clean energy outlook, China is re-evaluating its 13th Five-Year Plan, acknowledging that solar energy remains the key to reduce overall carbon footprint. Different subsidies and policies will be introduced to favor solar installations during the coming years. The country has the necessary manufacturing capacities and technical know-how to support its target. China had installed close to 35 GW in the first three quarters of 2018 itself, which was below the 43 GW installed over the same time period last year as a result of the policy changes. Without generous subsidies in place, investors grew a bit skeptical about their investments which led to a slowdown in the installation pace. China is a large nation having a high degree of carbon emission. The country has vowed to reduce its carbon footprint and has demonstrated its mettle in achieving large numbers. China has led the world in new solar installations in each of the past five years, and with the new target set should continue to do so. China leads the world when it comes to solar, so any policy changes in the country will definitely have a strong effect on the global solar outlook. China raising its solar installation target should further drive technological improvements and boost installations around the world.